Video: Nicki Vs Cardi B Fight; What Really Went Down! 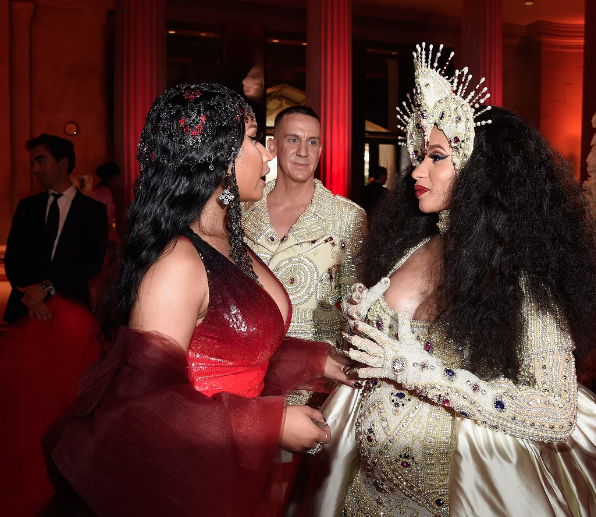 The Harper’s Bazaar ‘New York Fashion Week‘ party saw the Hip-Hop superstar Cardi B clash with her peer Nicki Minaj this weekend. Separated by security, the ladies now find themselves dominating headlines fuelled by footage captured on the night. Quite interestingly, the first batch of videos that hit the net failed to capture the entire story. Because? 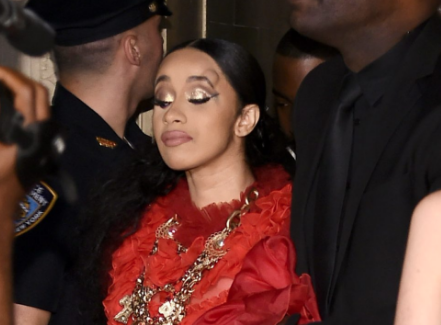 A new video unlocked today seems to dispel claims that the injury Cardi sustained wasn’t handed to her by one of Minaj’s guards…but by Minaj herself. Nicki can be seen “popping” her fellow chart-topper in the face at the 7 seconds mark, and is yet to respond to the fray directly even after several publications reported Cardi set out to accost her after learning that they were at the same event. Judging from Cardi’s own words, she was looking for a fight. She never made contact, either with her fists or her shoe. The ‘Roman Reloaded’ performer will not press charges as she did not sustain any injuries. In better news, both entertainers have garnered success with their respective new albums, ‘Queen’ & ‘Invasion of Privacy‘. The latter- a bonafide streaming magnet- delivered the smash hit single ‘Bodak Yellow’ and saw the starlet nabbed over a dozen top ten peak positions globally. As for ‘Queen’? That set has been certified Gold by the Recording Industry Association of America less than a month into its launch. Here’s hoping they find a way to reconcile!